We are planning to go to Chennai, India for a week on Friday. This city was ravaged by cyclone on Monday. The electricity is yet to be restored. The mobile connections are also down. It is limping now. it will be a tough time. The next week would be free from stitching. RPW 2016- this challenge is lagging behind. Previous week’s motifs are started and the motifs and the border can be worked in leisure without the chart now. Yet to do that on this week’s chart. SSS- This week is a revision of the first five stitches. I am not planning to do anything this week, but will be browsing the other stitchers of this challenge. TAST- zigzag woven chain is this week’s stitch on this challenge. The link to the samples worked earlier was posted on FB group page yesterday. This is the last stitch for this year. Sharon has hinted that after 100 stitches there might be some change. This is the only project I am working on this embroidery. This needs to be completed before it goes to the tailor. Two projects are awaiting to be designed on this subject. One is the orange tunic with chanderi patch and another is a white linen fabric. A basic idea of the design is ready for the white linen, it is yet to be drawn and traced on to white silk cotton piece, when the time permits! The design has to be created for the orange tunic. I picked up this tunic from the tailor yesterday. The black borders will be worked with mirrors, someday I think! At least the tunic and the idea are ready. 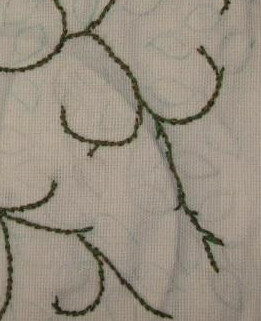 After tracing the design on to the linen fabric, initial stitches are made in stem stitch. Three strands of three different threads are used. Expectation was more to see the effect of three colours mixed together. It is less than I expected, still happy with it. Will see this after coming back from India. Wishing for some really small projects to complete faster. 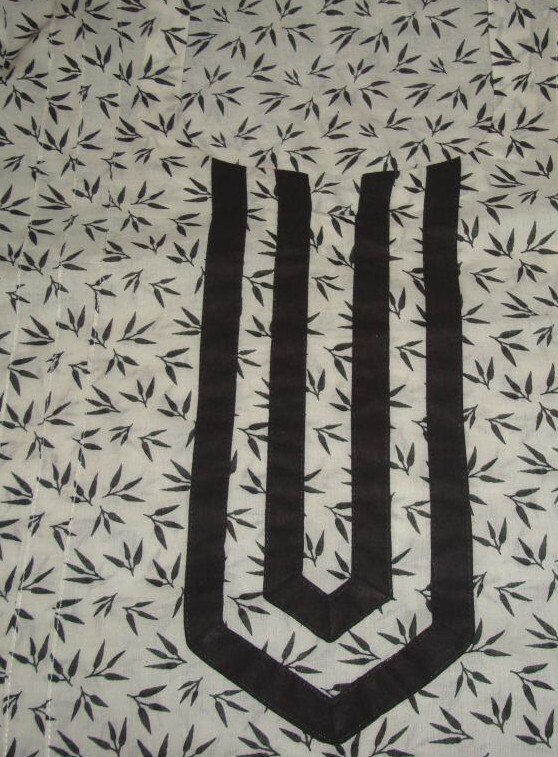 All small projects are on sewn tunics. These days my interests in tunic designs seem bigger and bigger. Lots of time has to be invested for these works. Being bigger the designing also takes time. Too many choices and it is hard to draw a line. It appears the RPW challenge might extend way into 2017. That can be the excuse not to join next year’s RPW challenge.